The Indian Institute of Metals (IIM), in association with Tata Steel, is organising its 56th National Metallurgists’ Day (NMD) and 72nd Annual Technical Meeting (ATM) at Kolkata from November 14 to 16, 2018. The Hon’ble Union Minister for Steel, Shri Chaudhary Birender Singh, will inaugurate NMD-ATM 2018. NMD-ATM is an annual mega event of IIM where metallurgists and materials engineers from the industry and academia participate and share their experiences and learnings on various aspects of metallurgical and materials engineering. The National Metallurgists’ Day Awards, instituted by the Ministry of Steel & Mines, Govt. of India, in 1962, and presently under the aegis of the Ministry of Steel, Govt. of India, will be presented to distinguished Metallurgists on November 14, 2018 for their immense contribution to the country’s economic development in general and to the domain of metallurgical and materials engineering in particular. 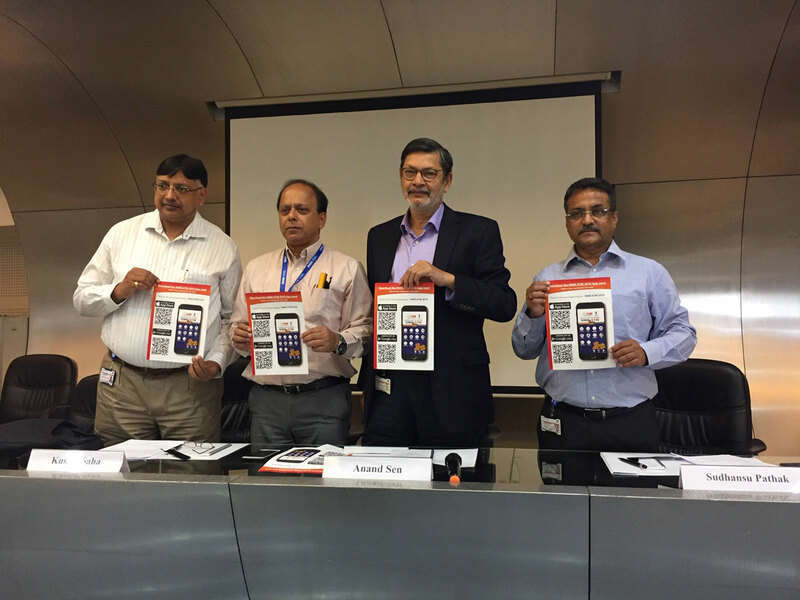 During a press conference held in Kolkata today, Mr. Anand Sen, President, Indian Institute of Metals and President - TQM & Steel Business, Tata Steel and others unveiled the NMD-ATM 2018 App. As a part of the annual event, ATM presentations will be made on November 15 and 16, 2018. The scope of the ATM encompasses modelling, mineral extraction and beneficiation, manufacturing of ferrous, non-ferrous and other materials, development and characterisation of products, environment and other sustainability issues, corrosion, tribology, surface engineering, joining technologies, casting, powder metallurgy, non-destructive testing, emerging technologies, industry automation, etc. As a part of IIM’s continuing tradition of promoting excellence in Metallography, a national-level ‘Metallography Contest’ will also be organised covering Light Microscopy, Transmission Electron Microscopy, Scanning Electron Microscopy and Scanning Probe Microscopy. Speakers at NMD-ATM 2018 include Professor C Barry Carter (University of Connecticut, US), Mr R Petkar (CTO, Tata Motors), Dr Peter Blauhauff (Independent Director, Tata Steel) and Mr Kunwar Singh, Partner, Mckinsey. This year, there will be will be more than 350 oral presentations (keynote and contributory) and an almost equal number of E-poster presentations. There will also be a dedicated session on industrial safety. This year the 56th National Metallurgists’ Day will be celebrated on 14th of November 2018. As a tribute to the important role played by the metallurgists in the country’s economic development, the National Metallurgists’ Day Awards Scheme, instituted by the Ministry of Steel & Mines, Govt. of India in 1962, presently under the aegis of the Ministry of Steel, Govt. of India, to honour the distinguished Metallurgists’ of India for their immense contributions, the NMD awards will be presented on 14th of November 2018. As a part of the annual event, ATM presentations will be conducted on 15th and 16th of November 2018. The scope of ATM encompasses modelling, mineral extraction and beneficiation, manufacturing of ferrous, nonferrous and other materials, development and characterization of products, environment and other sustainability issues, corrosion, tribology, surface engineering, joining technologies, casting, powder metallurgy, non-destructive testing, emerging technologies, industry automation etc. Students are encouraged to participate in large numbers. Tata Steel Group is among the top global steel companies with an annual crude steel capacity of 27.5 million tonnes per annum (MTPA) as on March 31, 2018. It is one of the world’s most geographically-diversified steel producers, with operations in 26 countries and a commercial presence in over 50 countries. The Group recorded a consolidated turnover of US $20.41 billion (INR 133,016 crore) in FY18. Tata Steel Group is spread across five continents with an employee base of over 65,000. Tata Steel retained Industry Leader position in FY18 and ranked second overall in the DJSI assessment, 2017. The Company has been recognised as the Climate Disclosure Leader in ‘Steel category’ by CDP (2017). Besides being a member of the World Steel Climate Action Programme, Tata Steel was felicitated with several awards including the Prime Minister’s Trophy for the best performing integrated steel plant for 2014-15 and 2015-16, Best Risk Management by CNBC TV18 (2018) and ‘Corporate Strategy Award’ by Mint (2018). The Company also received the ‘Most Ethical Company’ award from Ethisphere Institute for the sixth time (2018), Steel Sustainability Champions (2017) by the World Steel Association, Dun & Bradstreet Corporate Awards (2017 & 2018), Golden Peacock HR Excellence Award by Institute of Directors (2017) as well as ’Asia’s Best Integrated Report’ award by the Asia Sustainability Reporting Awards (2017), among several others. fields of metallurgical activities. The institute has grown into a reputed institution and is now recognized throughout the world as one of the premier metallurgical organization.